Easily one of the most popular collector segments, the classics from the fifties and sixties account for both the largest group of enthusiasts and the most popular vehicles with collectors. It's no surprise that the largest number of fitments in our catalog are for these popular classics. Coker Tire Company offers the most authentic original equipment fitments for the cars and trucks in the world. Firestone, BF Goodrich, US Royal and the list goes on. 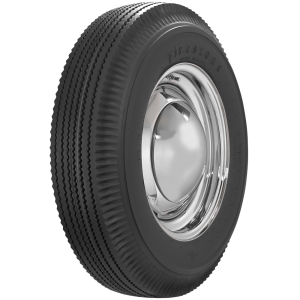 Coker Tire Company also offers hundreds of radial tire options in comparable sizes, particularly popular with enthusiasts who drive their cars much more often. 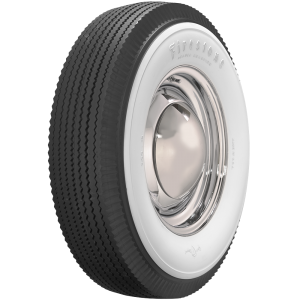 We even offer innovative products such as the award-winning Bias Look Radial tires, molded in authentic bias ply molds with entirely modern radial construction hidden beneath classic pie crust sidewall looks, true to the classics of the fifties. Keeping these classics on the road and looking authentic has always been our mission. 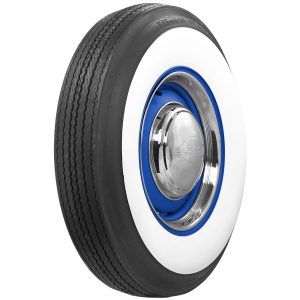 We also offer authentic OE-replacement wheels, caps and accessories, specifically for the classic automobiles of the fifties and sixties. Shop blackwall and whitewall tires, available in hundreds of fitments, styles and Brands direct from the world's leading supplier. Still need help? Contact a Tire Expert for assistance. 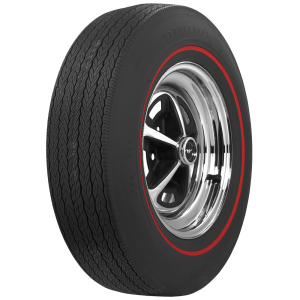 Wide whitewall tires have always been associated with deluxe or upgraded trim level vehicles. The bright sidewalls complement wheel caps and contrast sharply with black rubber. 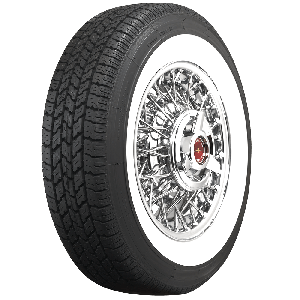 So many classics from the 1940s and 1950s owe part of their trademark good looks to the elegant wide whitewall bias ply tires specific to the era. 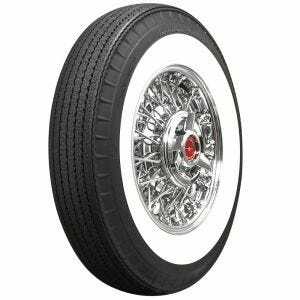 Coker Tire Company is the world's leading supplier of authentic wide whitewall tires. 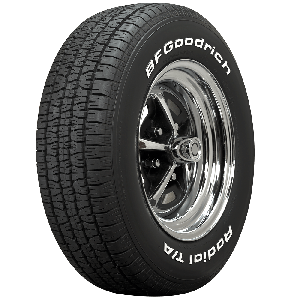 Coker offers many popular brands of wide whitewall tires from Firestone, BF Goodrich and others featuring authentic tread patterns and sidewall styles. 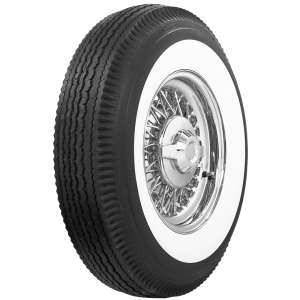 Shop hundreds of bias ply tires with wide whitewalls in sizes and fitments for most popular classic cars and trucks. As cars continued getting larger with huge displacement engines, the whitewalls on their tires began to shrink. Instead the massive whitewalls of the the 1940s and 1950s, the sidewall styling morphed into more of an accent and in some cases even a white pin stripe in the 1960s and into the 1970s. 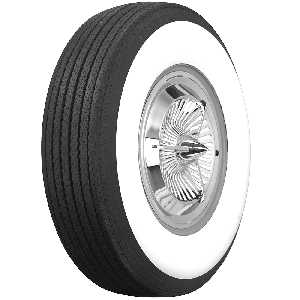 Coker Tire Company offers a huge selection of narrow whitewall tires for Cadillacs, Lincolns and many passenger cars that originally wore the narrower whitewall style. Contact a Tire Expert for assistance in selecting the correct whitewall width for your vehicle.